Laurel House is an international celebrity dating and relationship coach known for her tough love and no-games coaching style. 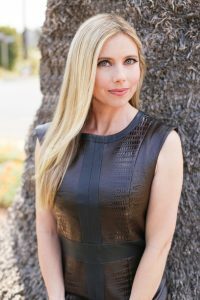 She is a dating coach on E!’s ‘Famously Single,’ co-host of ‘The Great Love Debate’ podcast on PodcastOne, a Dating Coach for Three Day Rule Matchmaking and CupidsPulse, and she has been a featured expert on KTLA Morning News, E! News, Good Morning America, Nightline, Glamour, AskMen, Brides.com, Thrillist.com, and dozens of other print, online, and television outlets. Her 5th book “Screwing The Rules: The No-Games Guide to Love” was published with Running Press. Her YouTube videos, which have had over 25 million views are edgy, authentic, relatable yet aspirational. She gives experience-based actionable how-to advice to empower viewers and clients to get out from under, over, and move on from breakups; learn how to have amazing first dates; turn those dates into healthy, fulfilling relationships; and become their best selves. 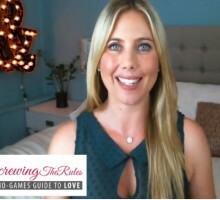 As a Dating Coach, Laurel has created the no-games strategy to find love- deep, hard and fast. Her clients range in age from 16-72 years old, and live anywhere from LA to NYC, Canada to South Korea. 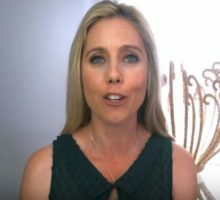 She works with clients to up their confidence, fix their dating screw-ups, provide the right words over text and online dating and even creating scripts for phone and in-person conversations as their Cyrano, reality and hip check, and help them stay on their dating and relationship purpose. Her dating advice is the best out there. As A Relationship Expert, Laurel helps clients present their best selves, maintain intimacy and communication, and even design perfect dates- where to go, and how to create statement-making or quietly unforgettable experiences that help turn friends into lovers and lovers into lifelong partners. Laurel helps translate the deep-seeded needs and superficial wants of both men and women, demystifying dating and relationships by removing the games, and getting back to the real purpose: love. Watch her relationship advice videos on our site and YouTube channel. They cover topics such as how to break-up with someone over text, how to make a guy fall in love with you, and whether or not soulmates really exist. House has written many books about love and shared helpful dating advice to guide you in your romantic life! You can follow House on her website, Twitter, and Facebook. Don’t forget to tune in and watch Laurel House on E!’s ‘Famously Single’ every Tuesday night at 10/9c on E! Network!